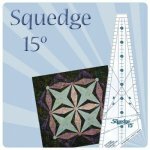 Get out your Squedge 15 and now its time to play! 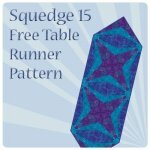 This is a fun simple runner you can get done in an afternoon! Kerry Glenn of New Zealand made this beautiful sample!! PhillipsFiberArt.com Free Patterns by Cheryl Phillips are protected under the United States copyright laws. 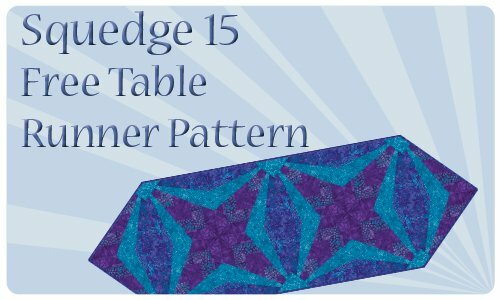 While you may print these patterns for classroom or demonstration purposes, they are not intended for resale. While you may link your site to this PFA product page which includes the free pattern, you may not directly link to the pattern itself. 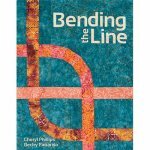 You may not provide this pattern on your own web site without written permission from Cheryl Phillips. 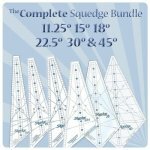 Our free patterns are written to enhance our products and promote our website. When displaying a quilt in a public show which was made with one of our patterns, please acknowledge the source. We appreciate your adherence to Federal Copyright laws.